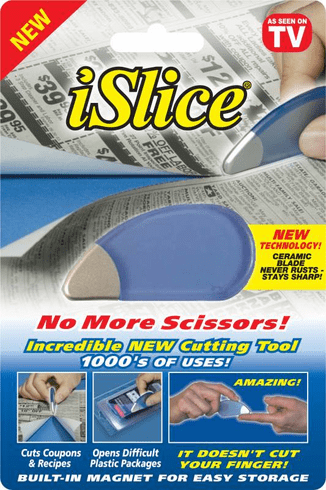 The iSlice is a handy tool that cuts through paper and packaging, but won't cut you! The iSlice has a ceramic blade that will never rust and a magnet built into the handle for easy storage. Ideal for craft projects, scrapbooking, and jobs requiring frequent mail opening.